CHARLOTTE -- Today, Discovery Place announced that through its community access program, Welcome, the Museums have served over 100,000 people across the region, an investment of more than $1.3 million in Charlotte’s underserved neighborhoods. Discovery Place launched Welcome two and a half years ago to provide families with low-cost access to the Discovery Place museums, offering $1 admission to families with EBT cards or WIC vouchers. The program was created to celebrate the diversity of perspectives and ideas in the community and stimulate positive and progressive change in educational outcomes for all of Charlotte’s children. 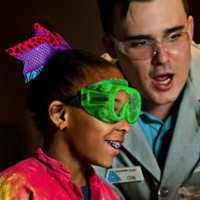 With school out for the summer, Discovery Place is committed to serving families all across the Charlotte region with high-quality educational programs that bring STEM topics to life. In addition to working with the Department of Social Services and local organizations that serve low-resource, high-needs populations through Welcome, Discovery Place has initiated community pop-up “make” programs to engage families in underserved neighborhoods with science. 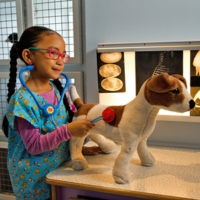 Welcome provides families with accessibility to all of the Museums in the Discovery Place family and stimulates positive and progressive change in educational outcomes for Charlotte’s children. The program reduces the cost of Museum admission to $1 per person for families from the Carolinas who present EBT (electronic benefit transfer) cards or WIC (Women, Infants and Children) vouchers at Discovery Place Science, Discovery Place Nature or Discovery Place Kids in Huntersville or Rockingham, for up to six family members. To redeem Welcome pricing, guests only need to present their EBT card or WIC voucher plus an ID at Admissions. Welcome is a Museums for All program, a national initiative of the Institute of Museum and Library Sciences. 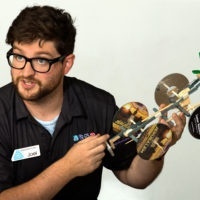 For more information about Discovery Place, call 704.372.6261 x300, visit discoveryplace.org or connect with Discovery Place Science on Facebook, Twitter, Instagram and YouTube.